Grand Slam winner Alison Miller has donned the famous green jersey for the last time after announcing her retirement from international rugby after a ten-year Ireland career. The 34-year-old was an integral part of the side which completed the clean sweep in the 2013 Women’s Six nations, scoring a stunning hat-trick against England. She also helped guide her country to the semi-finals of the 2014 Women’s Rugby World Cup, before the winger from Ballickmoyler won a second Women’s Six Nations title in 2015. 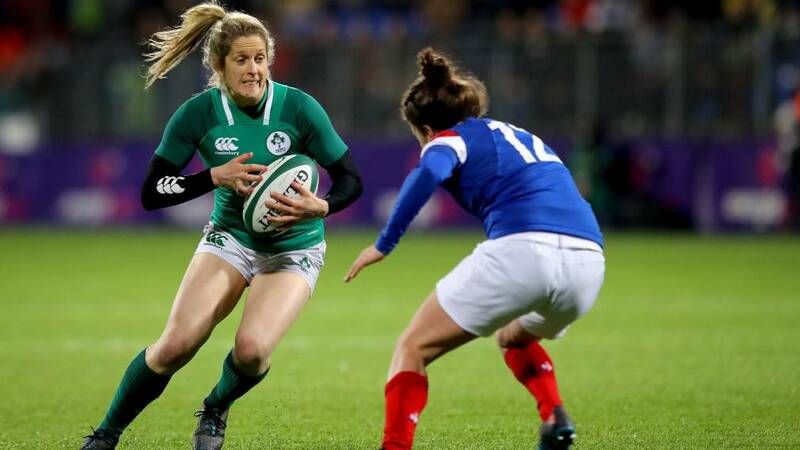 A broken fibula and tibia and a compound fracture of her ankle threatened to end her career, but she battled back to score her 24th try in Ireland’s win over Scotland in this year’s Six Nations. But following the conclusion of the Championship, Miller took to Twitter to reveal that she had decided to hang up her boots for good after a decorated international career. “It has been an hour and a privilege to play for my country for the last 10 years, however all good things must come to an end,” she said. Miller, who won caps in both the sevens and 15s games, first made waves with local club Portlaoise and also Connacht in 2009 before earning her Ireland debut the following year against Italy. She made an instant impression in the green jersey, scoring a 63rd-minute try on her against the Azzurre in Ashbourne, where she joined Niamh Briggs and Nora Stapleton in the back-three. The daughter of Laois Gaelic football legend Bobby Miller, she became a vital attacking weapon for Ireland from 2012 onwards, utilising her pace, power and game smarts. She leaves Test rugby with 47 caps to her name, and her enduring qualities as one of the greatest finishers in Women’s international rugby is evidenced by her Irish record tally of 24 tries. Known as the ‘Portlaoise flyer’, her hat-trick exploits against England (2013) and Scotland (2015 and 2016) made one of the stars of the Women’s Six Nations. Her recent score against Scotland in Scotstoun took her overall haul to 20 tries in 36 Championship appearances – ensuring her legacy will live long after her retirement.